In our house there are no wasted bananas. The ones that are slightly too ripe to eat are perfect for making cakes. 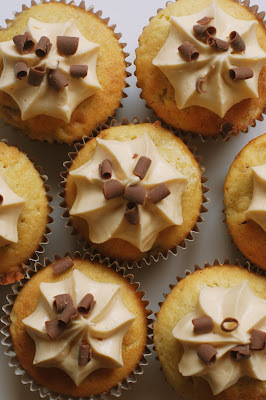 Using my mum’s banana cake recipe I made these cupcakes and then topped them with caramel frosting. 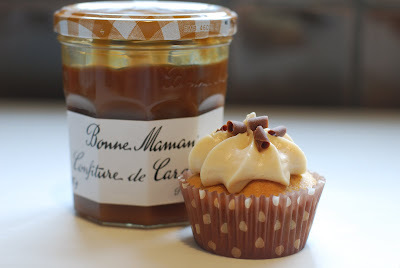 I did this by adding a couple of spoons of this amazing caramel sauce into my normal frosting recipe. Finally, no banoffee combination is complete without a couple of chocolate curls.